We’ve been skiing together for a few years now. Bob came last Christmas with his friend Claus and we searched the best snow, and the most uncrowded areas of Grimentz and Zinal. The best run was one of the classic freeride runs of Zinal, going down to the Moiry dam, a beautiful run that gets you out of the main traffic from the ski resort. 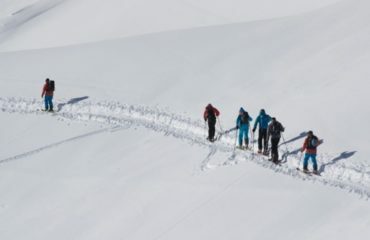 Being the first group to ski down, the way out was a bit challenging, having to manage quite technical avalanche debris that we had to make our way through. Here is a short video of this beautiful run don the backside of Zinal. The freeride skiing options are almost endless in this unique valley of the Valais region of Switzerland. Regardless of your level, you will find great quality snow, and the perfect terrain to challenge you into becoming a better skier. 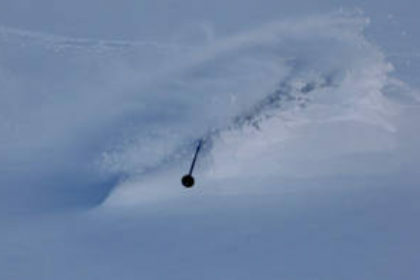 Last Winter season the snow conditions where amazing from late November, and this 18/19 Winter we have a solid snow base. 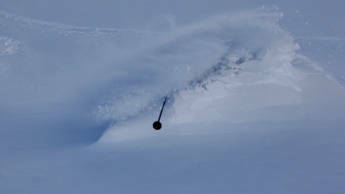 Now we just need a bit of fresh powder to get those epic off-piste days. For more information about the Val d’Anniviers and all the different freeride options, send us an email at: info@skizenit.ch or click Here!